Curiosity Quills Press, 9781620077115, 236pp. Forget cute fairies in pretty dresses. In the world of Aluvia, most fairies are more like irritable, moody insects. Almost everyone in the world of Aluvia views the fairy keeper mark as a gift, but not fourteen-year-old Sierra. She hates being a fairy keeper, but the birthmark is right there on the back of her neck. It shows everyone she was born with the natural ability to communicate, attract, and even control the tiny fairies whose nectar is amazingly powerful. Fairy nectar can heal people, but it is also a key ingredient in synthesizing Flight, an illegal elixir that produces dreaminess, apathy and hallucinations. She's forced to care for a whole hive of the bee-like beasties by her Flight-dealing, dark alchemist father. Then one morning, Sierra discovers the fairies of her hatch are mysteriously dead. The fairy queen is missing. Her father's Flight operation is halted, and he plans to make up for the lost income by trading her little sister to be an elixir runner for another dark alchemist, a dangerous thug. Desperate to protect her sister, Sierra convinces her father she can retrieve the lost queen and get his operation up and running. The problem? Sierra's queen wasn't the only queen to disappear. They're all gone, every single one, and getting them back will be deadly dangerous. Sierra journeys with her best friend and her worst enemy - assigned by her father to dog her every step - to find the missing queens. Along the way, they learn that more than just her sister's life is at stake if they fail. There are secrets in the Skyclad Mountains where the last wild fairies were seen. 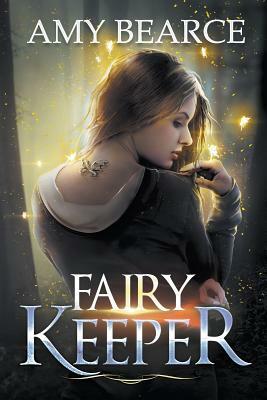 The magic Sierra finds there has the power to transform their world, but only if she can first embrace her calling as a fairy keeper.